Refugees arriving in Estonia can now choose which town they wish to settle in. Previously the Estonian state would have appointed the living quarters which incoming refugees were to be sent to, often in locations across the country. At the same time, there are no clear statistics demonstrating how many resettled people have left the country. According to ETV news show 'Aktuaalne Kamera', this system had experienced difficulties, with flat owners for instance wanting to meet the incoming tenants in person before concluding a contract. Ministry of Social Affairs spokesperson Kaisa Üprus-Tali has said that refugees will go to the accommodation centre first, and some time after that will be free to find an apartment on the rentals market, with the assistance of support staff and the accommodation centre. 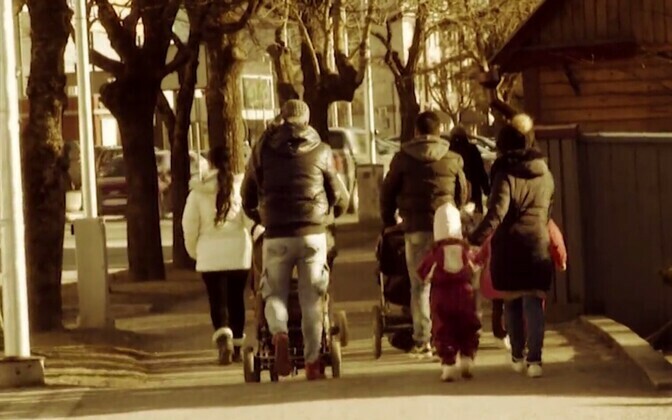 In any case, before relocating to their own apartments regardless of how they find them, families initially stay at the centres located in the central Estonain villages of Vao (in Järva county) and Vägeva (in Jõgeva county), where they receive instruction in the Estonian language and their children attend kindergarten or school. ''The idea is that a family will remain there [in the Vao or Vägeva centres] for around four months, but in fact there was one family who remained at the centre for more like half a year before they found suitable accommodation,'' said Üprus-Tali. Tallinn Deputy Mayor Tõnis Mölder has acknowledged that several of the incoming refugees have found their way to Tallinn already from the surrounding area of Harju County and that if more newcomers have the option to choose their own location of residence, this is likely to be in Tallinn or one of the larger cities. In addition to the social benefits to be found there, Tallinn has more education options for the children of refugees, although in Mölder's view a larger influx of such school age children could cause problems. ''It is our hope that if the state has decided the task will be delegated to local authorities, it will provide the concomitant human and financial resources which will enable things to function adequately in Tallinn as well,' said Mölder. It is my earnest hope that central government will canvass the opinion of Tallinn and the other bigger municipalities as well. One thing is clear, the capital cant simply be led to its own devices,'' he added. According to Kaisa Üprus-Tali however, the first phase of the resettlement program is now over and the Ministry of Social Affairs is not keeping as close a watch over the refugees comings and goings as it had previously been doing. For instance, there are currently no further detailed aggregation of statistics on who has been leaving Estonia and when, whilst at the same time responsibility is being devolved from the Ministry to the individual service providers. To date, 206 people have arrived in Estonia under the resettlement program. The bulk of these, 141 in total, had arrived from Greece. Eighty six people are reported to have been outside of Estonia for more than 90 days. One family has been returned to Estonia from Germany. Five families and one individual woman are reportedly awaiting resettlement at the refugee centre., and five to six families are scheduled to arrive in Estonia this year.